Fast delivery available on all online orders. 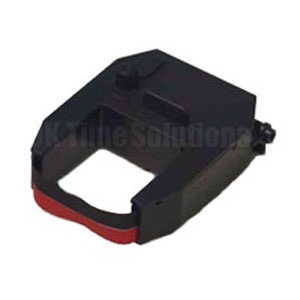 The clocking in machine Ink ribbon cassette should be replaced at regular intervals to ensure that the time recorder print head is not damaged due to a worn ink ribbon, a new replacement ink cartridge will give a clear imprint on the time card as well an helping to keep your machine in good working order, order yours today ! For further information and impartial expert advice please give us a call and one of our sales team will be happy to assist.